One of the aspects of being a writer is that we are in tune with that inner voice inside us, what the ancients called “a muse” and we now know to be our sub-conscious. 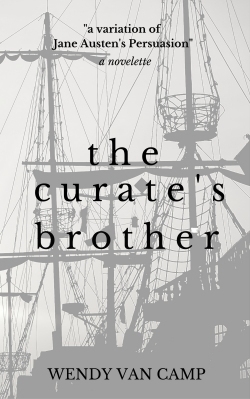 When I asked Barb why she became a writer she replied, “I write because I must; the stories won’t wait.” I think that this writer is definitely courting her muse. 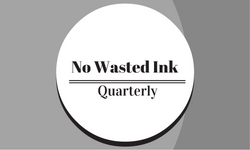 Please welcome author Barb Caffrey to No Wasted Ink. 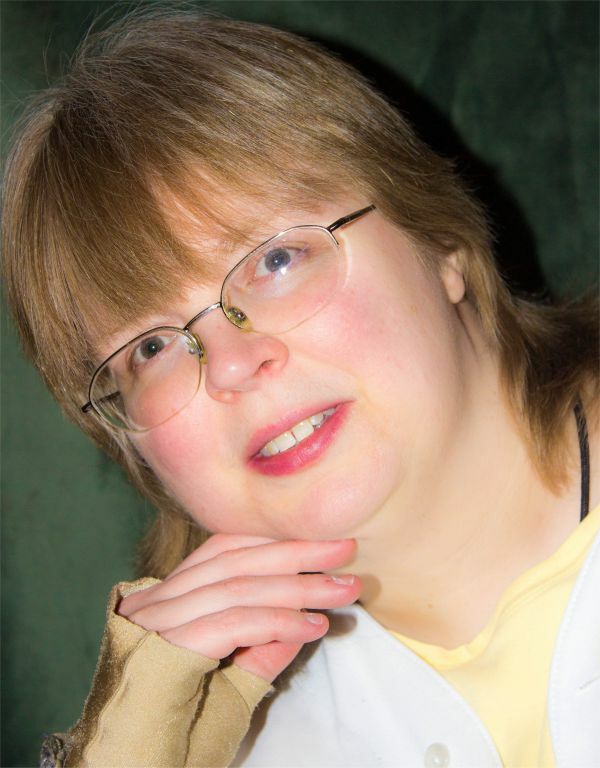 My name is Barb Caffrey, and I’m a writer, editor, and musician from the Midwest. 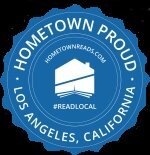 I’m the widow of writer/editor Michael B. Caffrey, and am continuing to do my best for his stories as well as my own — this is one of the driving purposes of my life. I believe in the values of persistence and hard work, I read voraciously in just about every subject under the sun, and I love sports. Originally I started to write because I had stories in my head that I needed to tell, much the same as other writers. I remember a story I wrote at age 11 about a young girl being a ballgirl at old Milwaukee County Stadium (this was before there were any ballgirls, the people who pick up the baseballs when they’re hit foul — only boys did that job when I was 11). My young pre-teen girl was given her own bathroom to change in and otherwise tried to make friends among the ballboys. Eventually she changed at least one boy’s mind…at any rate, I anticipated that market by about fifteen years, so I wish I still had the story today to put up at Amazon! I’ve considered myself a writer since at least age 11, if not before. But I did put it aside for a while in college due to needing to work on my music career. Eventually I found a way to bring the two together in harmony (I just couldn’t help but make that comparison), and actually have a transgender urban fantasy/romance coming in 2015 called CHANGING FACES that’s about two classical musicians (they both play the clarinet, and music is extremely important to them). 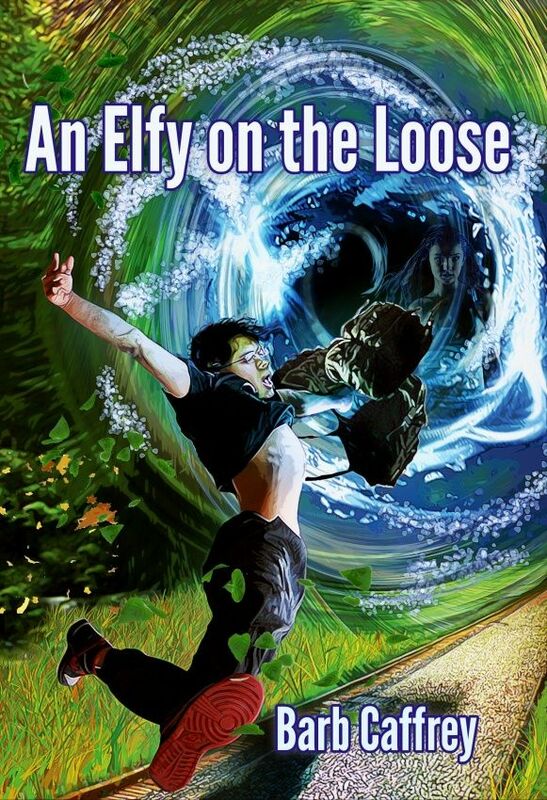 AN ELFY ON THE LOOSE is the first half of the ELFY duology, and is about Bruno the Elfy, a young, short being from a parallel Earth known as the Elfy Realm. He’s sent to Knightsville, California on our Earth by the Elfy High Council and told to watch for unusual magic, but before he can start to do any of that, he’s captured by two enigmatic humans — the parents of his love interest, Sarah. Both Bruno and Sarah think they’re younger than they actually are (they’re both teens, roughly); Bruno also thinks he’s far less powerful than he is, and that he has no enemies. He’s are wrong on all counts, and must make common cause with Sarah against first her parents, then a Dark Elf who’s trying to corrupt the local humans for the Elf’s own, nefarious purposes and has started first with Bruno’s mentor, Roberto the Wise. How will these two youngsters try to rescue Roberto? Why was Bruno sent to California at all? And what will falling in love mean for them both? So it’s a coming of age tale with some age-appropriate, sweet romance, there’s much magic and suspense, and there’s a good amount of mystery along with all of the comedy and urban fantasy going on. Or in other words: AN ELFY ON THE LOOSE is relentlessly cross-genre. I wrote it because I had Bruno the Elfy in my head, telling me that Elfs were not like that (they don’t like to be called “Elves,” thank you, as that’s a swear word in their language), and that he, as an Elfy, was not a rhyming, blithering fool even if the rest of them wanted to be called “Elfy-welfies.” There even are ghost characters who have major roles, and a haunted house that’s almost a character in its own right. I wrote ELFY (part 1 of which being AN ELFY ON THE LOOSE) because of my late husband, Michael. When I had the idea for the story that turned into AN ELFY ON THE LOOSE (part one of the ELFY duology), he encouraged me to run with it — and he had the skills as an editor and with world-building to help me write it to my best ability. It’s because of Michael’s faith in me and encouragement that AN ELFY ON THE LOOSE even exists, because I wouldn’t have known enough about true love before I met him to be able to write it at all, much less write it well. I’m closer to a “pantser” than a “plotter,” though I have been known to write character sketches and I certainly have sketched rough outlines of books. But with both the ELFY duology (book 2 coming in 2015) and CHANGING FACES, I wrote the stories I heard, and edited them in situ…I’d read over what I had, add whatever else was needed, and then went right on. So all of that is consistent with being a “pantser,” even though most of the short stories I’ve written have been closer to plotted out than seat of the pants-type writing. And with regards to my late husband’s work (which I’m trying to finish up for him), it’s much more a half/half mixture between “pantser” and “plotter.” I already know where he wants these stories to go, you see; I just have to add things that are faithful and consistent with his already established stories. This isn’t necessarily easy, as it’s a combination of retrofitting for action and adding in just enough character hints so it feels more like my work (and can thus do it at all), but I view it as vitally important. I liked it, my publisher, Lida Quillen of Twilight Times Books, also liked it, and we both ran with it. I’m not sure if I’m a messaging sort of writer. I think mostly I want people to believe in themselves and keep trying, even if all seems lost — that’s my own, personal message, and of course that’s reflected in Bruno’s storyline. But I also think if there is another message in AN ELFY ON THE LOOSE, it’s that the people you meet can be every bit as important as your family — perhaps even more important, as they understand you better and want to be around you because they like you for yourself. The only part of AN ELFY ON THE LOOSE that’s based on anything in real life is the romance between Bruno and Sarah. My late husband Michael and I were deeply in love, and we had to work through a good deal of misunderstandings before we got there. Michael was witty, and loved to make me laugh; the way Sarah behaves toward Bruno somewhat reflects how Michael was around me. Everything else is my own invention. The authors who’ve most influenced my life are: My late husband Michael, obviously, is the biggest influence of all. Andre Norton, because without her stories, I don’t think I’d have taken to the F&SF genre. 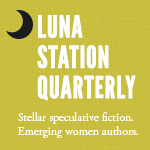 Rosemary Edghill, Stephanie Osborn and Katharine Eliska Kimbriel have read my stories and given me excellent advice. All of these writers tell stories that show people in difficult situations that use their wits and talents to get back out of them again, and become wiser, stronger and more skilled people in the doing, regardless of genre. I can’t choose only one mentor. I’ve actually had four — my husband Michael, Rosemary Edghill, Stephanie Osborn and Katharine Eliska Kimbriel. All of them have influenced me and my writing because they’ve given me cogent commentary (sometimes very blunt commentary, especially from my late husband and Rosemary Edghill), and their advice was always excellent. The cover of my book was designed by Lida Quillen, publisher of Twilight Times Books, and artist Malcolm McClinton. I did give them the idea of Bruno running across too-green grass while attempting to go through a World Gate in order to get back to Sarah (you can see Sarah in the blackness, very faintly), so I had some input. Ms. Quillen picked Mr. McClinton because his artwork seemed to match the style of Bruno’s story, and I agreed with her on all counts. My advice for other writers is very simple: Keep writing, and do not give up. If you do these two things, you will improve your craft and tell the stories you want and need to tell — and your audience will eventually find you.